Home / Bravehearts / Congress / India / Jokers / Latest Post / Politicians / Politics / Sycophants / Why Shouldn’t Sardar Patel Be Put Above Indira Gandhi? Why Shouldn’t Sardar Patel Be Put Above Indira Gandhi? No, I am not turning into a Bollywood movie critic. Looking at the recent confused mindset of the Congress leaders after prolonged losses in various elections the entire leadership might as well have uttered the above line on the issue of how the present government gave a royal snub to Indira Gandhi on her death anniversary and still would have made as much sense as their entire jamboree out of frustration did. True to their quality of remaining perpetual sycophants for the Nehru-Gandhi clan, the Congress leadership fell over each other in criticizing BJP on their decision to sidekick Indira Gandhi from the scheme of things and gone ahead to celebrate October 31st as the birth anniversary of Sardar Ballabh Bhai Patel as ‘National Unity Day’ henceforth. Now two question needs to be answered right here. First – Is Sardar not a legitimate candidate for his birthday to be celebrated in grand scale manner? Second – Has Indira Gandhi done anything credible for the nation that we should even celebrate her death anniversary as if there is no tomorrow? And this post in particular will revolve around these two questions to figure out if Modi government is fair in their decision to the tune that the NDA office bearers think it to be. First let’s move to Indira Gandhi and her contributions or the lack of it towards the nation. Why IG to start with? Because till date the government of India, irrespective of which party is in power used to celebrate October 31st as the death anniversary of Indira Gandhi. It won’t be an exaggeration if I say most of this Facebook and MTV Roadies generation may not even be aware that Sardar Patel was born on the same day. So IG and her importance over the iron man must have solid reasons to justify why the preceding governments so conveniently forgot the first home minister of India. So there we go. Whenever someone reminds me of IG the first and the last thing that crosses my mind is the emergency and a rogue called Sanjay Gandhi, who unfortunately was the son of this lady. Now show me one single country where the birth and death anniversary of a leader who probably could be instrumental (better be, primary reason) for the enormous number of poor and illiterate in the country gets his/her birthday celebrated like a mega national event. There would be countries where dictators celebrate their rogue ancestors but we are a democracy and that too largest among the world. Even the reason behind imposing emergency is more criminal than the emergency itself. The lady did it not because the circumstances demanded for it but because her own ego was getting sabotaged for genuine reasons. The Allahabad high court rightly revoked her Loksabha win because she was found to have misused state machinery for electoral gain. Seeing her power going out of her hands she promptly announced emergency there by curbing the powers of the state, its judiciary and everything in between. Many nationalistic leaders were arrested and put behind bars because they were agitating against such naked massacre of our democratic frameworks. Not only that, the lady let loose his retard son on the entire populace to run mayhem. Sanjay Gandhi along with his stooges literally looted the nation in broad daylight. Unaccounted loans of large sums were disbursed to the near and dear ones of SG without zero or minimal paperwork. A rough estimate of the loots in disguise of bank loans from all state run banks stands at a staggering 783 crores. 783 crores during seventies and you can easily calculate the amount in contemporary times. Not only loot but all democratic institutions were manhandled and turned to ashes in just about 18 months. Not a single institution was left from the dirty doings of the mother-son duo. Lest we forget the number of innocents, those were murdered so that the loot can go on unopposed. It would be optimism if I say the country was dragged at least 20 years back because of this emergency. This is not only one instance where the lady messed up the nation for her own ego and personal gain. Bhindranwale is another dark spot in Indian history, as was the emergency. Her father made a mess with Kashmir and standing true to the legacy of her father she messed up Punjab. I don’t know if it is hereditary but messing up in matters that are nationalistic seems to be running in the grand family of Congress. Thankfully the Punjab clutter got cleared up in about a decade and half else we are pretty much cleaning up the rot that Nehru piled in Kashmir since last six decades and still we are far from cleaning it all. Just because the Bhindranwale was hurting the one-upmanship of IG, the lady did something that looked strategically so out of tune. But till date I wonder – had that been a mosque instead of golden temple and the terrorists hidden inside were Muslims instead of Sikhs, would have IG dared to order our army to rush in? Well my guess is as good as yours. From this point it would be utterly unfair on my part if I don’t revisit the times when the Muslim appeasement started to become a state policy. Though Nehru installed the foundation stones for appeasement he was more of a socialist centric than otherwise. In true sense it is Indira who commissioned this rotten culture of appeasement into our political discourse. Can such a lady be even compared with the magnanimity of a legend like Sardar, let alone putting her above? Even the Bharat Ratna she won has a dark secret hidden behind it. As per our cultural ministry’s own words, a Bharat Ratna for an individual can only be suggested by the priminister of the nation. And when Indira won it in 1971, it was she who was the PM herself. Does this mean she awarded Bharat Ratna to herself only? Won’t be surprised if that was the case since she only seem to be following her great clueless father’s legacy. Ditto like her father, who awarded Bharat Ratna to himself while still being the PM of the nation in 1955 Indira repeated the shamelessness quite nonchalantly. But come to Sardar Patel, the Congress party had to wait 41 years post Sardar’s death to realize how big a character the man was. And, this is not all. 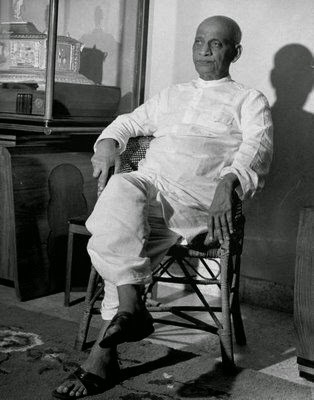 When eventually Sardar was found to be competent enough for the award of Bharat Ratna, it was not a Chinese Gandhi that was at the helm but Narasimha Rao. If you think that is all then wait. Sardar was awarded the honor along with Rajiv Gandhi who so called achieved martyrdom (according to Congress dictionary) just couple of years back. I would be fair with my assessment if I say; Congress party by design ignored a persona like Sardar Patel so that the image of all the Chinese Gandhis of the family is not over shadowed by true nationalists. Ditto is the case with Lalbahadur Shatri and to some extent even Narasimha Rao. And that is precisely what Narendra Modi is trying to point out. When Congress accuses Modi of hijacking the idea of Sardar Patel it only calls for laugh riots. Before we move ahead, I want to ask every sycophant in Congress – when Congress ever cared for anyone else except the Gandhi-Nehru family? It was and is the Gandhi family all the way. The jokers were so oblivious to their real greats that there arises no question of anyone hijacking any great personality from them. It is only when Modi took out Sardar from that designed oblivion and brought him into public memory and bestowed the due respect that Sardar demands, the Congress reptiles woke from their planned slumber and started shouting. Where were the same faggots when they conveniently named 51 state run schemes after Gandhi family against a sole representation against Sardar’s name? Irony even, there is nothing named after Lalbahadur Shastri. Even the country’s infrastructure lets the Chinese Gandhis to lead the real nationalists by a margin of 95:5 at least. If you are from Nicaragua and land at the Indira Gandhi International Airport in Delhi and take a taxi to the city center, you will wonder if the entire nation is built by a single family. You will feel without the Gandhis India would have been a Stone Age country till now. Forget about the foreigners. Take an average fifth grader and ask him about Sardar, Shastri and these Chinese Gandhis and I am sure for the former two most of the kids would give that constipated look of helplessness. Even the eighth graders now have a chapter on Rahul Gandhi in their social study book while only a single para talks about Sardar Patel in the ‘India’s Freedom Struggle’ chapter while just two lines grace Lalbahadur Shastri in the ‘Priministers of India’ chapter. In the context of the blog, though I want, I still would not pit the achievements and contribution of Sardar towards the nation against those of Indira Gandhi. That would be a grave insult to the great man if pitted against a lady who all her life only destroyed India step by step. She is just not worth it. By the way when Rahul Gandhi and Sonia Gandhi will be awarded with Bharat Ratna? Or they are planning to honor the Damad-E-Hind Robert Vadra with this coveted award first before moving to the mother-son duo? Just curious. Nice article! But you should also have added a para highlighting Patelji's achievements just for info. Honestly I thought but refrained because I felt I am too small a person to even try outline the magnanimity and contributions of a great soul like Sardar. I may not have done justice to the proud legacy of Sardar. Hence restricted myself. independent India to political mess which patel wanted to avoid at all costs. revered. He truly was the architect of independent India. I strongly feel you are correct in criticizing IG for the reason, we need a clean slate to re-write history. People should know what damage this Nehru-Gandhi clan has done to our nation which needs to be erased first from public memory. A nice article!